Zynga, the social gaming company infamous for everything from serial plagiarism to shady marketing techniques, has more than doubled its estimated value since March and now outranks even the mighty Electronic Arts. Like it or not, kids, casual, social gaming is where it's at, and in case there was any doubt, here are some numbers that'll make your hair curl: According to SharesPost Inc., an exchange for privately-held companies, the company behind fare like FarmVille and FrontierVille is now worth an estimated $5.51 billion, putting it well ahead of EA's $5.16 billion valuation on the Nasdaq. The figure is even more astonishing when you consider that on March 1, SharesPost pegged Zynga's value at $2.61 billion. It is one of the fastest-growing tech companies in the world and has cornered roughly one-third of the $1.6 billion market in virtual goods. SharesPost figures are estimates based on "data from trades of private shares, research estimates and venture-financing valuations," but ThinkEquity LLC analyst Atul Bagga doesn't think it's an unreasonable amount. "The valuation is not that crazy, given what's going on in the market," he said, noting that the virtual goods market could hit $3.6 billion in three years. "It's not that terribly expensive seeing the growth prospects." 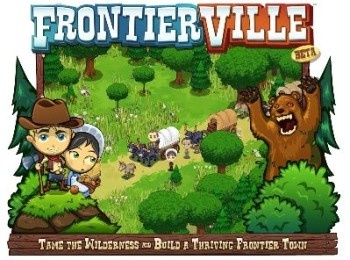 Zynga has tens of millions of players on Facebook and is branching out even further, putting games on MSN and Yahoo! as well as launching its own standalone sites. EA, on the other hand, is continuing to struggle with profit losses, layoffs and declining markets, and has shed more than seven percent of its share value in the same time frame.